Does the summer heat have you suffering from Frozen Fever? Have you had a chance to visit the Sommerhus in EPCOT yet? 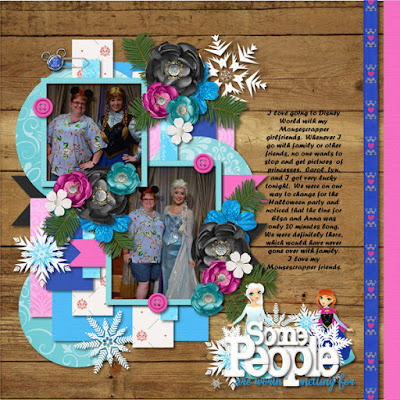 Kelly has the perfect kit this week to create wonderful pages of the Frozen Ever After ride, meet and greets, sing along, parades and other frozen fun! 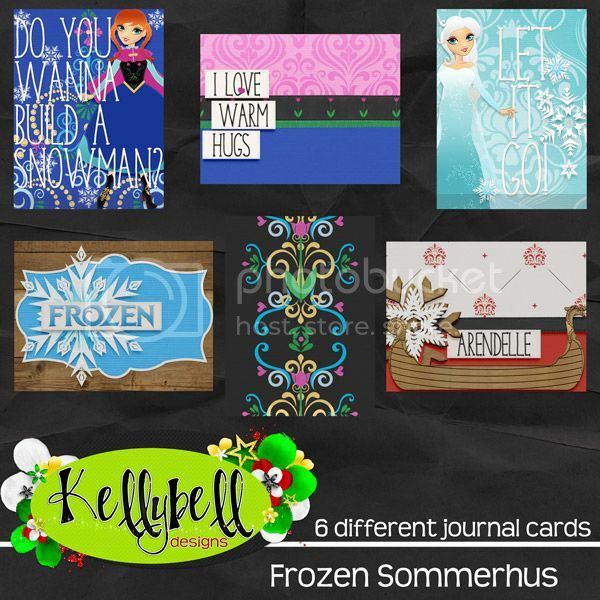 Frozen Sommerhus has coordinating Page Starters, Journal Cards and Word Art to complete your collection! The kit contains papers of gorgeous deep blues, purple, red and brown. 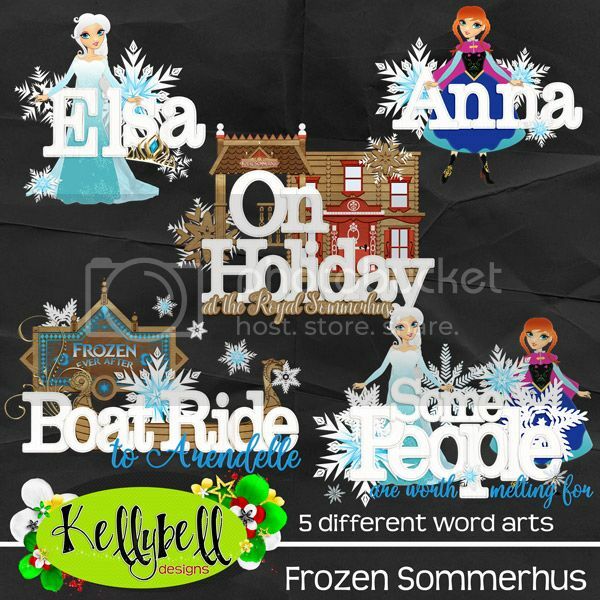 There are wonderful unique elements including two dolls, viking boat, snowflakes, ride signs, wooden window, frames, flair, Sommerhus buildings, wordbits, and more! 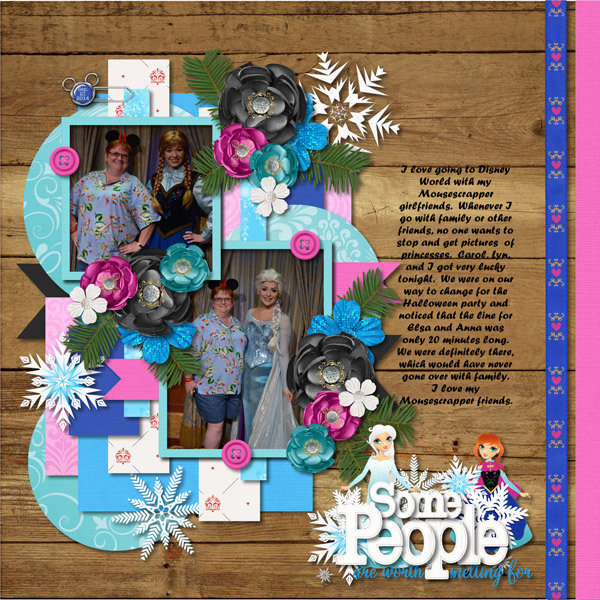 Here's a page that I created with Frozen Sommerhus. How about some freebies from the team? You can find them at Julie's blog, Jennifer's blog, and Julie P.'s blog. Kellybell Designs has New Quickpages! Kelly's Annual Sale and a Blog Train!